Come to the south of Tenerife to discover the beautiful black sand beaches of the most visited island of the Canarian archipelago. Enjoy Playa de las Américas while relaxing yourself in one of the best hotels in southern Tenerife. Where to go in southern Tenerife? 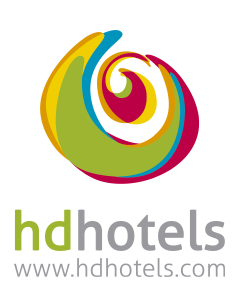 In the south, you can enjoy one of the best hotels in southern Tenerife south in Playa de las Américas, where the HD Parque Cristóbal Tenerife hotel is located. It is a lively area that offers leisure activities for the whole family. The paradisiacal beaches of Tenerife, bathed by the Atlantic Ocean, and surrounded by a volcanic landscape are one of the main tourist attractions of the islands. Our Hotel Parque Cristóbal Tenerife is one of the best places to stay in southern Tenerife. Tenerife is the largest island of the Canary archipelago and the cradle of the Teide, the third largest volcano in the world and the highest peak in Spain. From the Teide National Park, there are spectacular views of the sky and the stars, as well as of the rest of the islands. Tenerife has several sandy beaches and natural pools for the practise of activities related to the sea. You cannot visit the island without being amazed by the views of the summit of the Teide. They will leave you breathless and are certainly very different from anything you have seen so far. If you are interested in cultural tourism you cannot miss San Cristóbal de La Laguna, the historical capital of the island and model and architectural inspiration for the colonial cities of the new world. Of course, you cannot leave without visiting Puerto de la Cruz, Playa de las Américas and the capital and most populated city, Santa Cruz de Tenerife and its carnival, declared International Tourist Interest. If you want to be delighted by the local cuisine, you should visit the famous taverns known as Guachinches, where you will be served local food and wines. Tenerife is one of the most important destinations for rural tourism in the Canary Islands and the options are endless and very diverse. Come and enjoy one of the best hotels in southern Tenerife, HD Parque Cristóbal Tenerife. Its diversity of landscapes makes it a highly valued destination for hiking and cycling lovers. Finally, the island is one of the most densely populated and there is plenty going on in the towns regarding culture, along with towns and villages of great historic beauty.